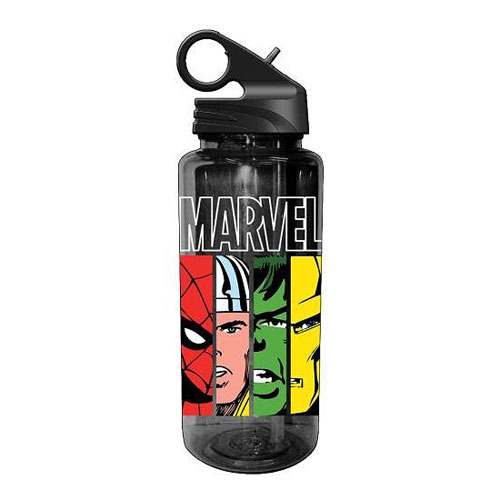 "Marvel" at the bright images of Spidey, Thor, Hulk, and Iron Man on this Marvel Comics Face Panels 20 oz. Tritan Water Bottle! Hand wash only. Not dishwasher safe. Do not microwave. Measures approximately 9 1/2-inches tall. Ages 14 and up. Game of Thrones Jon Snow and Tormund 2-Pack - 2018 Excl.